Special thanks to Bill Colvin for his work for the CBA Legislative Committee. Bill has been spearheading the analysis of proposed rule changes and is working with this fine group so our association is more responsive to calls for comment and to making proposed changes. We recently responded to the Rule 31 proposal. And thanks to Hal North for leading the analysis of the proposed Bankruptcy Rules changes for us. The CBA and the Young Lawyers Division of the CBA will again partner with La Paz on July 18 at Our Lady of Perpetual Help, from 4-7 p.m., during a Passport Fair to assist those in need and reach out to the minority community as we try to combat the unauthorized practice of law and its negative impacts. We will run a power of attorney clinic and would like to have attorneys with various practice experience available to consult with the 50-60 families expected to attend. No specific experience is needed to assist with the clinic. If you are interested in volunteering for one or more hours, let me know. Thanks to Stephanie Rogers for leading this initiative. On Sept. 19 at Chattanooga State, the Tennessee Supreme Court will bring its SCALES program to Chattanooga to educate 650 high school students about the judicial branch of government. Presiding Judge J.B. Bennett will give opening remarks. We are still in the process of exploring the possibility of the CBA teaching a civics course in select high schools in the Chattanooga community. The course materials are prepared and ready. Through this initiative, we hope to forge relationships with high school students and make the mock trial competition even better than it already is. If you’re interested in devoting a few hours of time as a teacher in this area, let me know. Thanks to David Nagle for volunteering to help! Level-funded ERISA platform featuring relationships with hand selected, A-rated insurance carriers in each marketplace. Let me know if you’re interested. If enough interest is expressed, we’ll further consider it for you. The Chattanooga Bar Association has a website tool to assist attorneys who are using the Lawyer Referral Service. The LRS assists clients in finding an attorney. 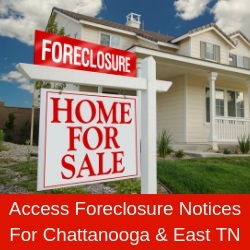 If you’re interested in using the service, contact the Chattanooga Bar Association at 602-9430. If you’re an attorney struggling with alcohol or drug addiction, the CBA is here to help. We thank Art Grisham for the confidential and supportive counseling and guidance he’s given to our members who are working to overcome this issue. He will continue to chair our Lawyers Helping Lawyers committee of the CBA.